If you spend any amount of time on New York City’s subway system, you know it’s a pretty unpredictable place. Will your train be on time – or get delayed in a dark tunnel due to track traffic up ahead? Will your particular car feature blasting heat or ice-cold air conditioning? Who can tell, really? Is this train headed towards Brooklyn or Queens? Honestly, just go with it. But some metro stops in NYC are also vibrant art spaces, filled with musical performers, bustling commuters, and even beautiful art spaces. 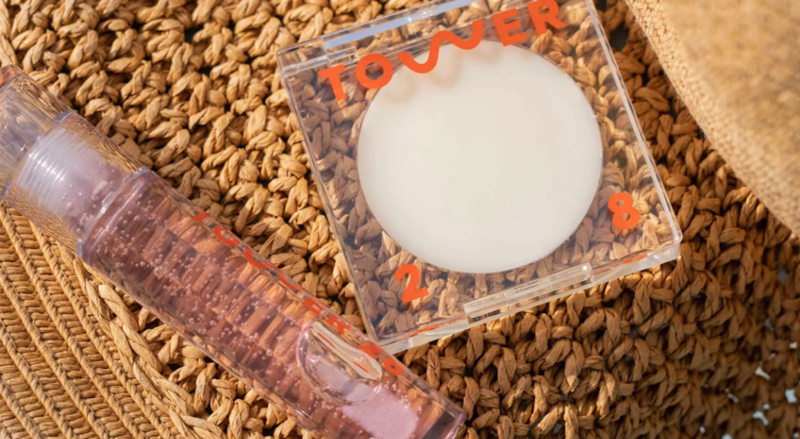 The latest installation to be revealed by the MTA Arts & Design commission is by artist and activist Yoko Ono. 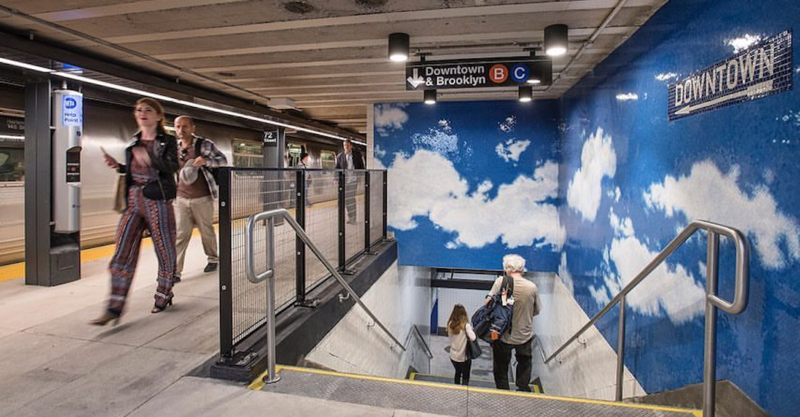 It is called “SKY,” and it’s located at the newly-reopened 72nd Street B/C subway station. The Yoko Ono subway art was also created as a tribute to The Beatles‘ John Lennon – which is fitting as it’s located directly under Ono’s home at the Dakota. “‘SKY’ comprises six separate mosaics spanning both station platforms and mezzanine. The mosaics altogether measure 973 square feet and show a blue, cloud-filled sky embedded with written messages of hope,” the MTA explained in a statement. The messages behind this artwork are “Imagine peace,” “Imagine love,” and “Dream.” Two more mosaics are set to be installed this October. This dreamy artwork definitely makes the daily grind a little bit brighter – and will surely become a tourist destination for the city’s visitors. You can visit this Yoko Ono subway art at the 72nd St. station B/C train stop in New York City. More art murals to check out. More creative wall art around the world.